The amount and proliferation of student debt has grown to ridiculous proportion. But why in the world should we address this after the fact? Why are students incurring debt that might have to be forgiven in 20 years? Either they accrued too much debt, or they accrued too much debt for their chosen profession. I suggest educating the consumer is a much more effective solution than debt forgiveness. Like the mortgage crisis, many are buying a product incompatible with their means and needs. Transfer, transfer, transfer. Two years in a community college (particularly one with a reciprocal agreement with a prestigious university in the area) will save almost 50% in costs. The degree from the 4 year school (attended for the last 2 years of study) will be exactly the same as the one given to 4 year students. Stick to your own kind. Do not attend state schools in other states. State colleges and universities can be wonderful. They can also be as expensive as a private school for out of state residents. Live at home. I’m not interested in hearing about the missed social experiences of dormitory life. That’s not the goal of education. If money is an issue, would you rather the person living in their childhood room, a college student or a 30 year old trying to pay off a student loan? Consider your major. I know it’s hard to think ahead as a teenager. But teens can be savvy consumers. What kind of degree is worth the associated cost? A B.F.A. for a total of $40K might be a better choice (for some) than a B.F.A. for $200K. Better yet, a B.A. for $40K with an Arts major, may be the best investment. Know what you’re buying. 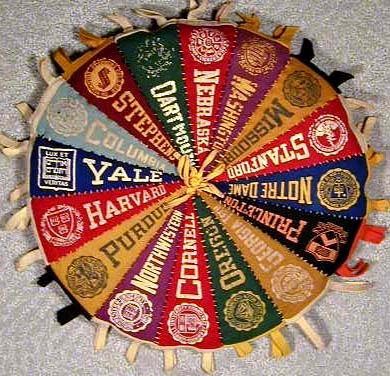 Does the college/university have a robust alumni network or career services? How is their reputation in your chosen major? What leadership or research opportunities are available at the school? Forgiving debt is not sustainable and does nothing to ensure that people are getting the best education they can afford. The skyrocketing cost of higher education aside, student debt exists in the same realm as consumer or housing debt. I’m not suggesting a cash only society, but debt should always be incurred thoughtfully and judiciously. During a time of economic uncertainty and high unemployment, when the next generation is not guaranteed a better standard of living than the one before them, attention must be paid.